When installing a new roof, it is important to consider more than just the shingles. A quality roof is a combination of many essential parts all working together to protect what’s inside. Ask any experienced contractor and they will tell you two of the most vital roof components are the fascia and soffit. Both play a critical and unique role in the overall integrity of the roof. 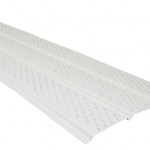 Fascia is a vertical finishing board attached to the ends of the rafters, trusses or gutter. It acts as a protective layer between the edge of the roof and the elements. 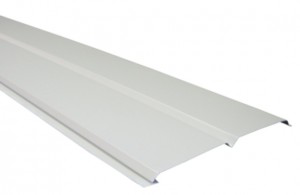 Fascia blocks rain, sleet, snow and other weather conditions from penetrating the roof and interior of the home. Without fascia, the wooden boards of the roof would become water logged leading to further moisture problems. 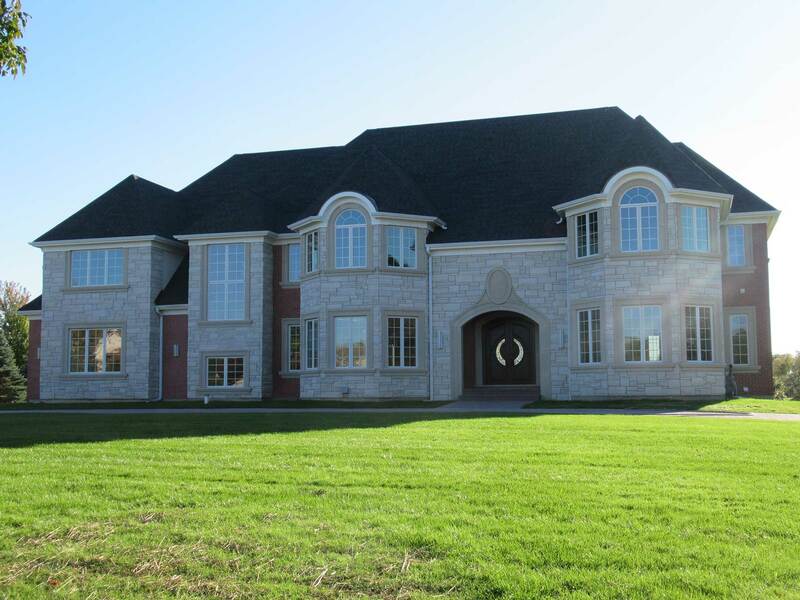 While functional in nature, fascia also adds to the aesthetic appeal of the home. If offers a smoother, finished appearance to the roof. It is often composed of wood and painted to match the existing exterior. 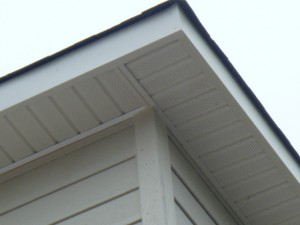 The term soffit is derived from the Latin term for “to fix underneath” as well as the French word for “formed as a ceiling.” It is installed below the overhanging sections of a roof eave. 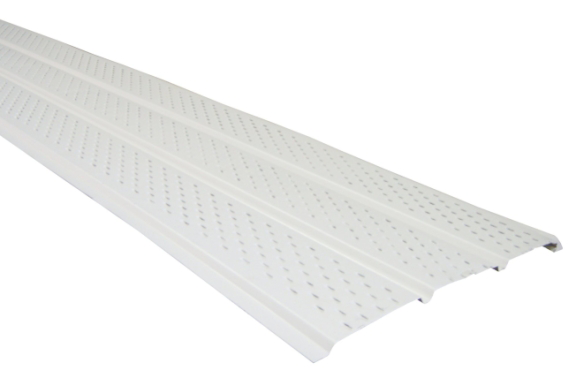 The soffit has many small holes on its surface to help circulate air through the roof. 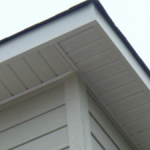 A soffit is often composed of either wood or vinyl depending on customer preference. 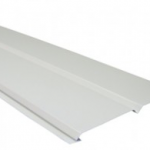 The main purpose of a soffit is to assist in ventilating the roofing system. It performs the important function of drawing heat and moisture out of the attic sending it outside. Without this proper ventilation, excess moisture can accumulate leading to rot and mold development on the attics rafters and sheathing. 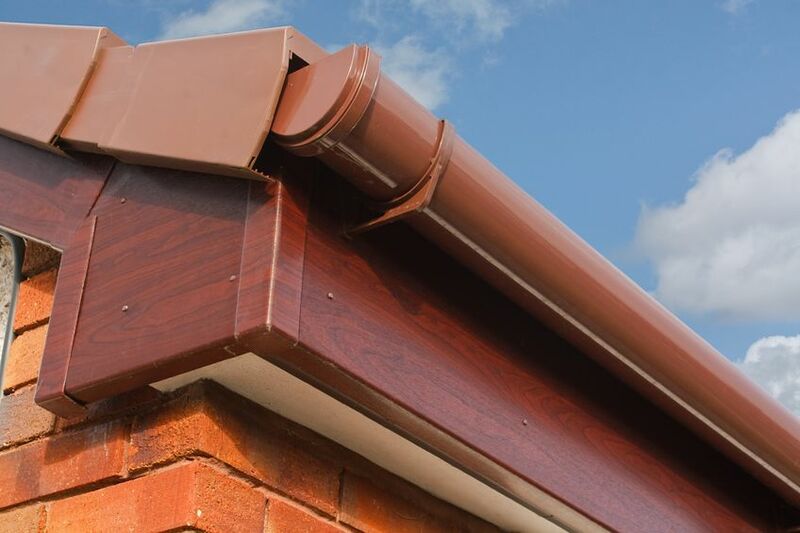 Much like the rest of the home, fascia and soffits need replacement from time to time. The soffit is known to attract small animals and insects. They can burrow inside leading to cracks, holes and rotting. Wood fascia boards often experience moisture problems that weaken their ability to protect the roof from water damage. While these types of repairs may seem minor, if left unaddressed, they can lead to larger, more costly problems within the roofing system. It is important to contact a reputable exterior installation company at the first signs of damage. For all of your Chicago roofing needs including soffit and fascia installation, contact one of the most trusted contractors in the area – Custom Installations. As a certified and licensed roofing company, we have experience in installing complete roofing systems that not only protect the home but will last for years to come. Contact us today to learn more about our soffit and fascia installation services.